We'll find out if production units hold up better next month. Samsung's first foldable Galaxy phone is still more than a month away from launch, but as tends to happen, it looks like someone has gotten their hands on one early. It's unclear if the one appearing in a phone unlocker's YouTube video is a retail version or an early prototype, but SamMobile notes it appears to originate from Vietnam, which is home to one of the company's manufacturing hubs. 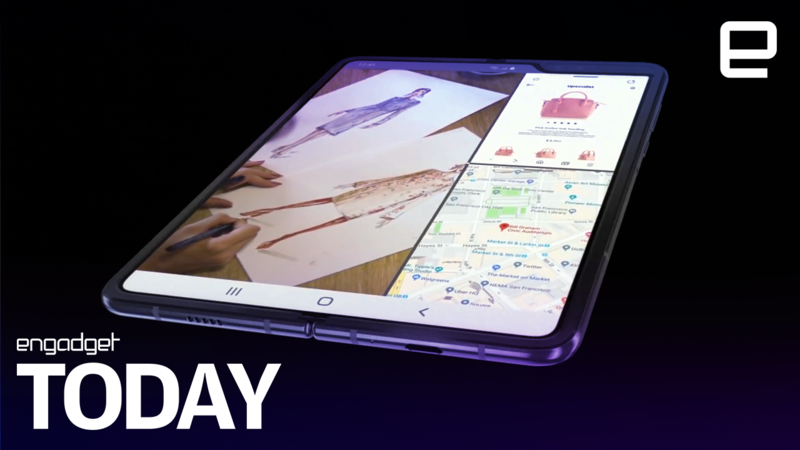 The video is a much clearer hands-on than anything we saw that the Galaxy Fold's unveiling event (it stayed in glass cases and in the hands of demonstrators), but what jumps out the most is a visible crease on the unfolded screen. A rumor from Bloomberg suggested a visible crease is bound to form once the Fold's screen is flexed more than 10,000 times -- a far cry from the 200,000 figure Samsung touted -- and might cause the company to offer free replacement screens. It's obviously unclear what this device has been through so far, so we can't say with certainty what it will be like once owners have paid the nearly $2,000 price tag. This one could be a test unit, or in some way already deemed defective, but until we put some time in with one ourselves we don't know how prevalent of an issue the seam will be. On the plus side, the AT&T-branded SM-F900U appears to lock solidly open on its hinge and the UI operates smoothly on either screen. It's still sort of chunky when it's closed but doesn't look like it would be difficult to operate one-handed. Whether you're excited about the Galaxy Fold, skeptical or outright rejecting the concept, this just adds to the intrigue ahead of its official US launch on April 26th.